Myth. 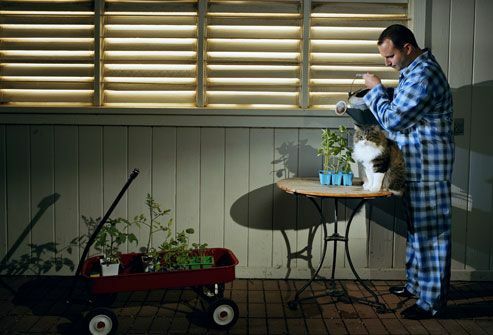 Insomnia -- chronic trouble getting to sleep or staying asleep -- can leave you desperate for a good night's rest. Think a cocktail before bed will offer relief? Think again. This myth probably persists because alcohol can help you fall asleep. But as it moves through your body it may lead to disturbed, restless sleep, or it may make you wake earlier. Myth. It's true that psychological issues can cause insomnia. As a matter of fact, stress is the No. 1 reason people report a lack of sleep. But it's not the only insomnia trigger. Many things can cause insomnia, including poor sleep hygiene, illness, drug side effects, chronic pain, restless legs syndrome, or sleep apnea. Fact. 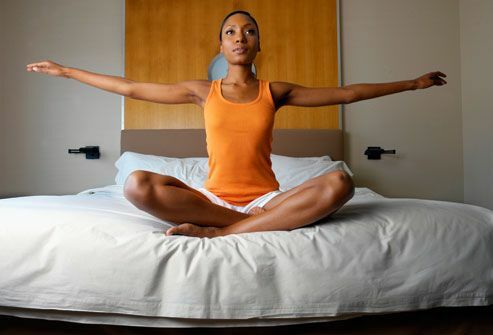 Regular exercise can be a great way to help stimulate better sleep. If you have trouble sleeping, avoid working out too late. 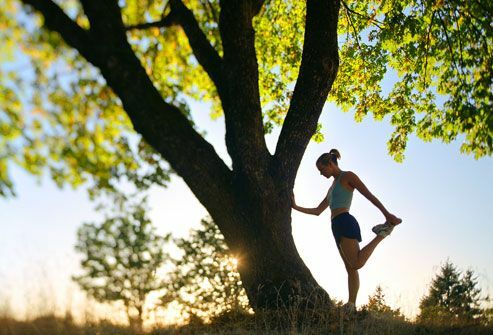 Strenuous exercise can make you more alert. It also increases your body temperature, which may stay elevated for as many as six hours. Steer clear of workouts too close to bedtime. Aim to complete a workout two or three hours before you plan on going to sleep. Myth. It's tempting to try to wind down by reading on the computer or watching TV before bed, but both can actually stimulate you. The light and noise of TVs and computers can be engaging and can reduce brain melatonin levels. You want your melatonin levels to increase around bedtime to help you fall asleep. Need just a little noise to help you drift off? Try listening to relaxing music or download a relaxing, sleep app. Myth. 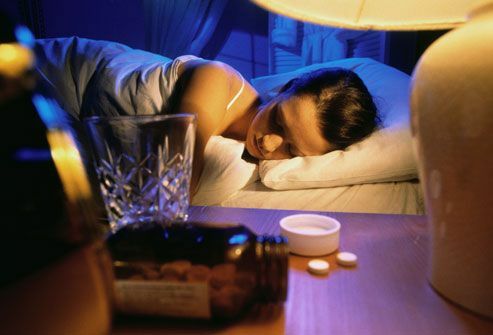 It's true that today's sleeping pills are safer and more effective than many older drugs. But all medications have potential risks, including the risks of dependency. Always talk to your doctor before using sleeping pills. Some sleep aids can help relieve insomnia symptoms temporarily. They can't cure insomnia. Resolving underlying health issues and addressing your sleep environment is often the best approach to insomnia. Myth. It's unlikely that you can fully catch up on sleep you've lost. 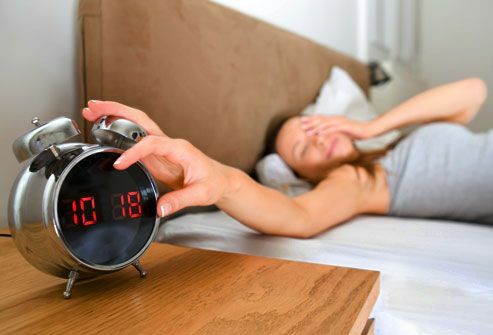 Sleeping in one or two days a week or over the weekend may actually upset your natural body clock. The disruption may make it harder to get to sleep the next time. The only way to catch up on lost sleep is to get back into a regular sleep schedule. Myth. Naps affect everyone differently. For some people, a brief 10- to 20-minute nap taken midday can be refreshing. For many people with insomnia, however, a late afternoon nap can decrease the brain’s sleep drive. That can make it even harder to fall asleep at night. Myth. Believing this myth can lead to serious consequences. Everyone is born with a set sleep need. Most adults need 7-8 hours. You can learn to get by on less sleep, but you can't train your body to need less sleep. If you're sleep deprived, it's harder to pay attention or remember things. Being chronically tired can have serious consequences, including poor work performance, an increased risk of accidents, and even poor health. Fact. Tossing and turning for a half hour or more in bed? It's OK to get up to read or listen to relaxing music. 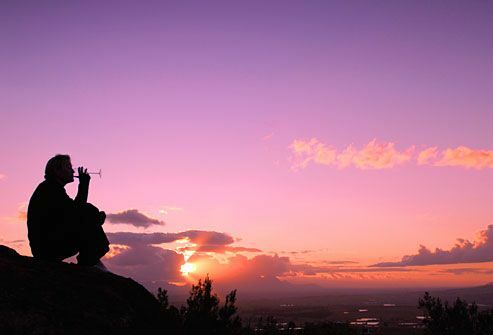 A quiet activity can help you relax and feel sleepy. Staying in bed may lead to frustration and clock-watching. Over time, you may associate your bed with wakefulness, not rest. Serious health conditions have been associated with severe, chronic lack of sleep, including obesity, high blood pressure, diabetes, heart attack, and stroke. Fact. You can train your body to associate certain restful behaviors with sleep. The key, of course, is consistency. Read for an hour or take a warm bath before bed. Maybe meditating or daydreaming will help you drop off to sleep. Find what works for you, and then make those rituals a regular part of preparing for bed every night. Myth. Until you know what's causing your insomnia -- whether it's stress, medication, illness, or another issue -- don't expect it to disappear on its own. If you've had problems getting to sleep or staying asleep, or if you’re consistently tired after a night’s sleep, you may have a sleep disorder, and it's time to talk to your doctor about treatment. Catalano, E. Outwitting Insomnia, The Lyons Press, 2004. Cohen, D. Science Translational Medicine, January 13, 2010. Colten, H. Sleep Disorders and Sleep Deprivation: An Unmet Public Health Problem, National Academic Press, 2006. National Heart Lung and Blood Institute, National Institutes of Health: "What Causes Insomnia?" "What Is Insomnia?" National Institute of Neurological Disorders and Stroke, National Institutes of Health: "Brain Basics: Understanding Sleep." National Sleep Foundation: "Myths and Facts," "Diet, Exercise and Sleep," "Melatonin and Sleep," "Napping," "ABCs of ZZZZs -- When You Can't Sleep," "You can't 'catch up' on sleep." Stores, G. Insomnia and Other Adult Sleep Problems, Oxford University Press, 2009. University of Maryland Medical Center: "Sleep Hygiene: Helpful Hints to Help You Sleep."